I dabbled in Crossfit for a couple of years and this inspired me to learn more about fitness. I caught wind of OPEX somewhere along the line and I immediately clicked with everything they were teaching. They seemed to be light years ahead. I had so many questions and Crossfit wasn’t answering them. In particular, I felt Crossfit had no clue as to how the aerobic system functioned and supported fitness. OPEX was the only one in that realm that seemed to get it. I saw James Fitzgerald understood endurance sports and he also understood the sport of fitness…along with a lot of other key stuff. Finally, someone was making sense. 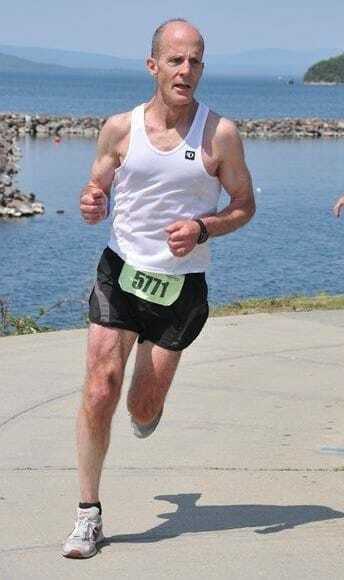 Meanwhile, after 40 years of serious distance running…and a 5-6 year period of stress involving one family emergency after another…I began to falter physically. I turned to OPEX to try and guide myself back to a healthy fitness. Today, I am coached by James Taylor. When I first started with OPEX, my goals were to restore health, create a more balanced approach to fitness, and learn new things. As an endurance running, improving my running performance was on my list but it was less of an importance than overall restoration of my body. I am significantly stronger than I was when I started. My energy levels and mobility is much improved. And somehow, I have maintained my aerobic fitness levels despite devoting less time specifically to that area. My body feels much less inflamed and I have better proprioception. With JT’s help, I have laid down foundations for long-term improvement and have done all this despite severe family stress. My currently goal is to continue to develop as an athlete in a more complete, well-rounded way. Physical fitness is one of my primary avenues of expression. JT has created a customized program that is geared towards long-term results. Rather than trying this and then trying that and being all over the place, my programming with OPEX has settled me down. Also, JT has me patiently correcting weaknesses and imbalances using a methodical, low-risk, high success approach. I used a very patient training approach to distance running. JT has taught me how to do it with strength training. OPEX is the ultimate “class act. A breath of fresh air. I have so much admiration and appreciation for what you guys do. You have no idea. I think that’s saying a lot because I’m someone that’s a million miles past my prime. Not that I don’t respect my own efforts…it’s just that there is no obvious glory in it for you…like having a winner of the Crossfit Games or whatever.